The event we have worked towards since the founding of RoboValley: the International Robotics Week. Last week, we were able to show the whole world what RoboValley has built in the past years and what RoboValley stands for: connecting robots and people worldwide. We would like to thank everyone who contributed to the success of the International Robotics Week: our partners from Robo Business Media, Chrysalix, Accenture, Rabobank, InnovationQuarter, the city of Delft, the Innovation Attaché Network and the speakers and visitors. 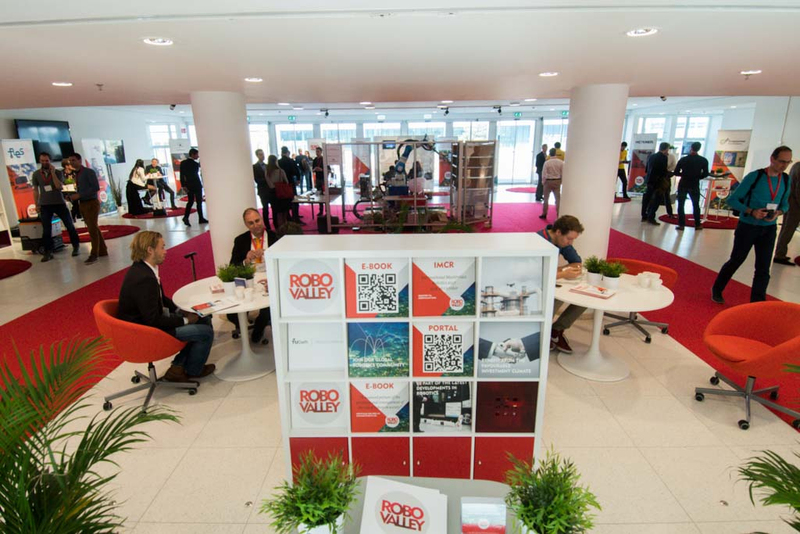 Integrating RoboBusiness Europe, TUS Expo and ROS Industrial in one event turned out to be a huge success. 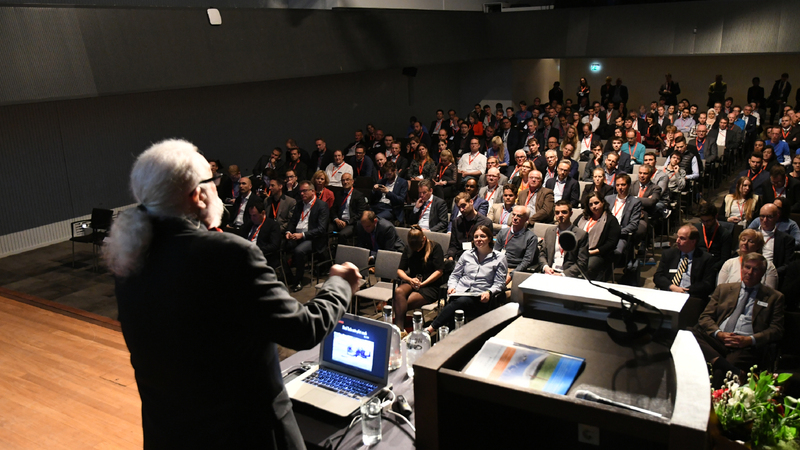 For three days, experts in the field of robotics and unmanned systems, and their robots and drones, from all over the world gathered in the Netherlands. 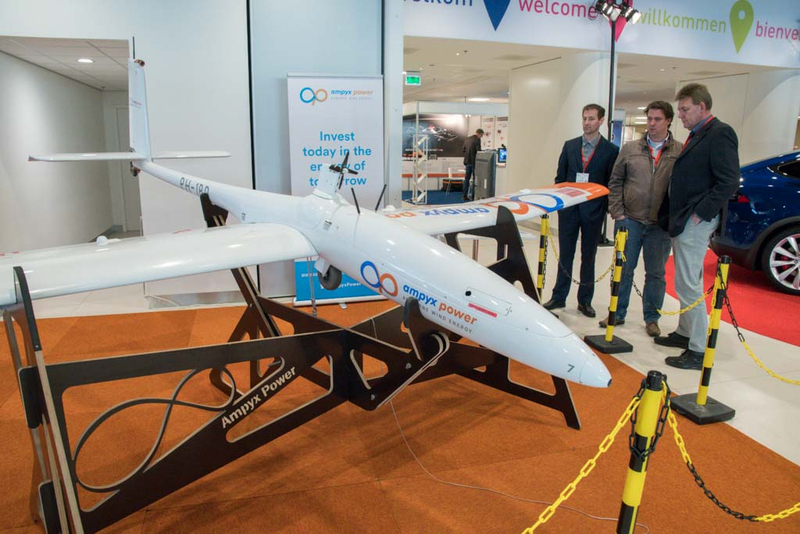 The week saw an expo and conference in the World Forum The Hague, tours to labs of the Delft University of Technology and demonstration days in the port of Rotterdam (unmanned harbour) and former airport Valkenburg (drone show). This made clear that the Netherlands has everything needed for robotics companies that want to settle here. The International Robotics week started on Wednesday, with inspiring keynotes from Kim Liebregts (Tesla Benelux), Noel Sharkey (Responsible Robotics) and Melonee Wise (Fetch Robotics). Wise’s contribution was of particular interest. She pointed out that there are around 1000 robotics start-ups in the world, most of these founded after 2010. Why is that? The answer is open-source robotics (ROS). “Why did this sudden explosion happen? Because of open innovation.” Her company also benefited from ROS. "There are around 1000 robotics start-ups in the world, most these founded after 2010. Why is that?" The IRW is the perfect place for start-ups to present themselves. Prince Constantijn, the start-up envoy of StartupDelta, had some advice for them. The preconditions for being successful in the Netherlands are present, but it is not enough to just have a good product. To give this product a place in the market, you have to be ‘business wise’: you need to surround yourself with people who have a sense of enterprise. Constantijn also visited the RoboValley pavilion, where various start-ups were gathered together: Delft Robotics, CropZoomer, Clear Flight Solutions, SeaDrone, Robot Care Systems, Robot Security Systems, Robot Engineered Systems, Vectioneer. Also present were the student DreamTeam: Project MARCH, ImProvia and the Care-o-bot from Fraunhofer / Unity Robotics. During the start-up event, AeroVinci announced they received a subsidy of 300 thousand euros. This allows them to further develop the dronedock technology. During the IRW, we also launched the beta version of connect.robovalley.com: ‘your compass in the world of robotics’. Connect.robovalley.com offers a single place for companies to find the latest news, insights and reports on robotics. Networking is an important part of a large congress. Because of this, we were happy that the city of Delft and InnovationQuarter enabled us to host the first RoboCafé NL in the old town hall of the city of Delft on the first evening of the event. Futurist Aseem Prakash delivered an inspiring presentation, the historical ambience took care of the rest. A day later, we organised the RoboValley Foundation Dinner in our own offices. The Dutch robotics sector was present, as were several international guests. 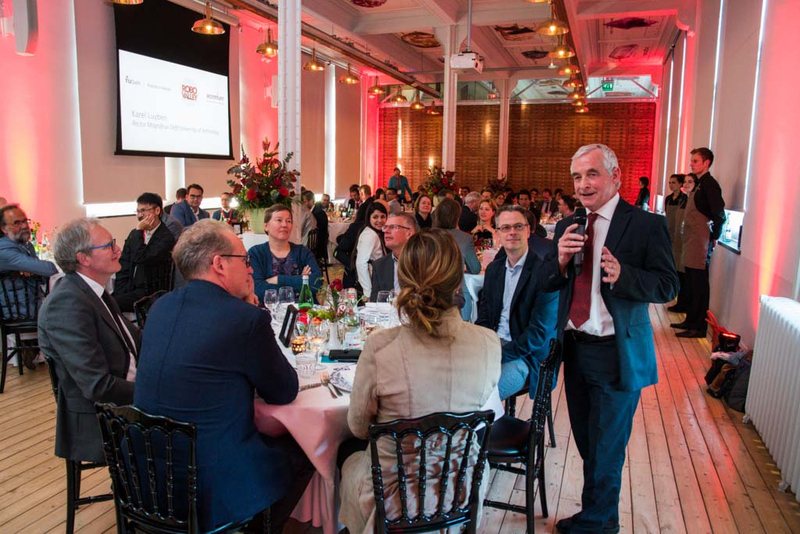 They were, amongst others, addressed by Delft University of Technology’s rector magnificus Karel Luyben, Aimee van Wynsberghe and Guszti Eiben. "Over the past few years, we have built a global platform for organisations and people involved in robotics"
We're sorry to inform you that our website is best viewed in a modern browser. Please upgrade your browser for the optimal experience.